Preventative dentistry is the practice of caring for your teeth by keeping them healthy, reducing the frequency of major problems. Ellis County Family Dentistry strives to keep you and your teeth healthy. To make this possible, it is important to regularly see your dentist for cleanings and necessary x-rays. This provides you the best chance to maintain your oral health and, if problems arise, to catch them early! This allows not only for the least invasive treatment options, but also is usually the most cost effective as well! If you’ve ever had a toothache, you know that it’s not a pleasant experience! By brushing and flossing regularly, avoiding sweets, and visiting Ellis County Family Dentistry, you can ward off dental ailments. Good preventative dental habits also cut your risk of diabetes, heart disease, osteoporosis, respiratory disease and various cancers. Women should visit their dentists during pregnancy, as premature birth and low birth weight may also be linked to poor oral health. Children, especially, benefit from good preventative dental health habits while they are developing their adult teeth. By keeping healthy teeth and gums during the formative years, you will set them up to have good, strong teeth for the rest of their lives! Preventative dentistry will also save you money! By keeping your teeth healthy, you reduce or delay costly procedures, such as bridges, crowns, dental implants and root canals. During your visits, we will give you an overview of your dental health by using state-of-the-art x-ray technology and personal service. 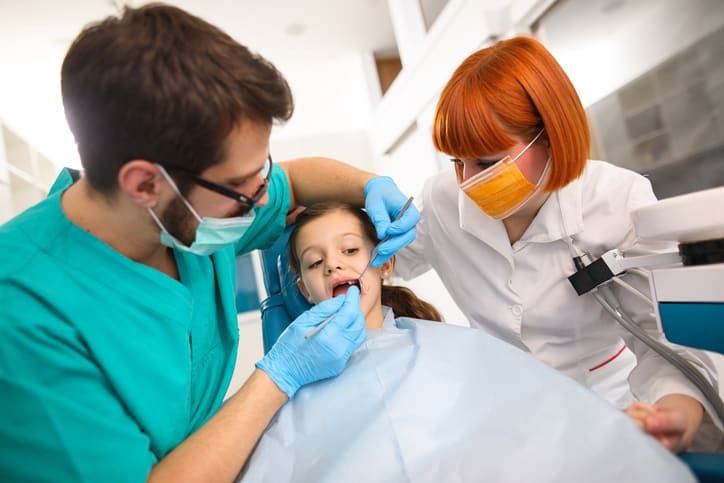 Ellis County Family Dentistry works with all major insurance carriers. Many providers will cover 2 hygiene visits per year. We are committed to helping you and your family achieve the highest level of oral health. Call us today to schedule an appointment to determine your plan of action!